King Solomon’s wise words on the importance of prudence and wise counsel take on special importance for anyone negotiating today’s complex financial waters. Scams old and new target the desperate, the fearful and the confused with offers to make problems go away and create more wealth than anyone could imagine. Now, alongside the Nigerian banking transfer scheme and various other old scams in new clothing, comes another attempt to bilk money from struggling homeowners and investors: fake attorneys promising to handle a variety of housing related transactions – for an exorbitant fee of course. Owners of property – whether residential or income – can b faced with mortgage trouble for a variety of reasons: loss of a job, a downturn in the rental market, or problems with the property itself, among others. Getting help to deal with the problem can be a frustrating, time-consuming experience, and many find it too intimidating and complex to negotiate the process on their own. That’s where scammers come in. When a homeowner goes looking for information on refinancing, mortgage modification or other kinds of help, usually online, a number of “experts” pop up, warning that they need the help of an attorney to avoid losing money or facing legal consequences. Local ads for mortgages and notices also target the unwary and the frightened. 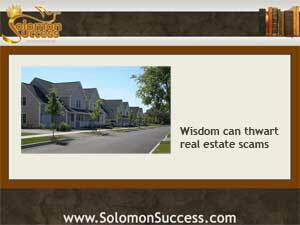 The scammer, posing as an attorney specializing in real estate law, offers to take care of the entire process for a fee, usually exorbitant. In some cases, the client may get services in exchange — but sometimes they don’t. And the scammers disappear, leaving victims with no recourse. This kind of fraud isn’t limited to true scam artists, though. Fraud experts point out that legitimate attorneys may also offer services like that in an attempt to make more fees. In any case, consumers need to be cautious about offers of third-party legal assistance in applying for mortgages and other kinds of housing transactions. Although these processes cane time consuming and frustrating, consumer advocates point out that help is available for free from lenders and refinancing programs as well as housing advocacy groups and consumer organizations – resources that can be used by both homeowners and investors. Mortgage Relief Scams: Enticing Vulnerable Homeowners?